Bergen, historically Bjørgvin, is a city and municipality in Hordaland on the west coast of Norway. At the end of the first quarter of 2018, the municipality's population was 280,216, and the Bergen metropolitan region has about 420,000 inhabitants. Bergen is the second-largest city in Norway. The municipality covers 465 square kilometres (180 sq mi) and is on the peninsula of Bergenshalvøyen. The city centre and northern neighbourhoods are on Byfjorden, 'the city fjord', and the city is surrounded by mountains; Bergen is known as the 'city of seven mountains'. Many of the extra-municipal suburbs are on islands. Bergen is the administrative centre of Hordaland, and consists of eight boroughs: Arna, Bergenhus, Fana, Fyllingsdalen, Laksevåg, Ytrebygda, Årstad, and Åsane. 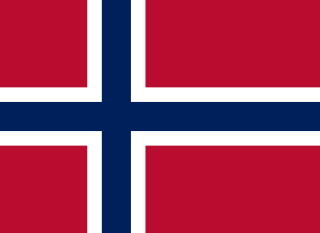 Norwegians are a North Germanic ethnic group native to Norway. They share a common culture and speak the Norwegian language. Norwegian people and their descendants are found in migrant communities worldwide, notably in the United States, Canada, Australia, Argentina, Chile, Uruguay, Brazil, Mexico, New Zealand, the United Kingdom, and South Africa. The United States Women's National Soccer Team (USWNT) represents the United States in international women's soccer. The team is the most successful in international women's soccer, winning three Women's World Cup titles, four Olympic women's gold medals, eight CONCACAF Gold Cups, and ten Algarve Cups. It medaled in every single World Cup and Olympic tournament in women's soccer history from 1991 to 2015, before being knocked out in the quarterfinal of the 2016 Summer Olympics. The team is governed by United States Soccer Federation and competes in CONCACAF. Since 1978, an official cup for women's football clubs has been played. The Norwegian Women's Cup final is usually played on a Saturday, the day before the men's cup final. The 1978 cup final between BUL and Trondheims-Ørn was the only Norwegian cup final to be decided on penaltiy kicks. SK Trondheims-Ørn is a Norwegian association football club from Trondheim. The club has one of Norway's most famous women's football teams. SK Brann is a Norwegian professional football club, founded 26 September 1908, from Bergen. Brann has been in the Eliteserien, Norway's Premier Division of Football, since 1987, bar one season spent in the 1. divisjon in 2015. They play their home matches at Brann Stadion where they had a record-breaking 17,310 in average attendance in the 2007 season. In October 2007, Brann won the Norwegian league title for the first time since 1963. Solveig Ingersdatter Gulbrandsen is a Norwegian footballer currently playing for Kolbotn of the Toppserien. At club level she has previously represented Kolbotn, FC Gold Pride, Vålerenga Fotball Damer and Stabæk. 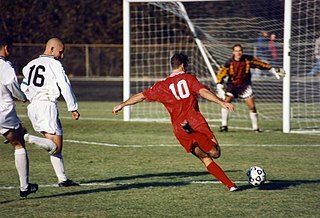 With the Norwegian national team Gulbrandsen accrued 183 caps, scored 55 goals and won the 2000 Summer Olympics. Isabell Lehn Herlovsen is a Norwegian football player who is currently playing for Vålerenga after moving home from China and the club Jiangsu Suning. She plays as a midfielder and a striker. Nadine Marejke Angerer is a retired German footballer who played as a goalkeeper. She played for Frauen-Bundesliga clubs Bayern Munich, Turbine Potsdam and FFC Frankfurt. In 2008, she played for Djurgårdens IF of the Swedish Damallsvenskan and she spent two periods on loan with Brisbane Roar of the Australian W-League in 2013 and 2014, before finishing her career with Portland Thorns FC of the American National Women's Soccer League (NWSL). During her extensive international career, Angerer was recognised as one of the world's best female goalkeepers. Sara Caroline Seger is a Swedish footballer who plays as a midfielder for the Sweden women's national football team and FC Rosengård of the Swedish Damallsvenskan. She serves as co-captain for the Swedish national team alongside Lotta Schelin. Seger, who is from Helsingborg, played for Linköpings FC for five seasons from 2005 until 2009. In 2011, she returned to Sweden with LdB FC Malmö after spending two seasons in the American Women's Professional Soccer (WPS) with Philadelphia Independence and Western New York Flash. Ahead of the 2012 season she signed a two-year contract with Tyresö FF, moving to France in 2014 to play for Paris Saint-Germain. Seger won the Diamantbollen in 2009, which is awarded annually to the best Swedish women's soccer player. The 1987 European Competition for Women's Football took place in Norway. It was won by the hosts in a final against defending champions Sweden. Once again, the competition began with four qualifying groups, but this time a host nation was selected for the semi-final stage onwards after the four semi-finalists were identified. Sandra Smisek is a former German footballer, who played as a striker in Germany for FSV Frankfurt, FCR Duisburg and FFC Frankfurt, as well as for the German national team. Rosana dos Santos Augusto, commonly known as Rosana, is a Brazilian football left back or left winger who last played for the North Carolina Courage in the National Women's Soccer League. She has previously played professionally for teams in Austria, France, Norway and the United States. Since making her debut for the Brazil women's national football team in June 2000, she has won over a century of caps. She has participated in four FIFA Women's World Cups and four editions of the Olympic Games. Leni Larsen Kaurin is a Norwegian football midfielder who has made almost 100 appearances for the Norway women's national football team. Kaurin represented her country in the 2009 and 2013 editions of the UEFA Women's Championship, as well as the 2007 and 2011 FIFA Women's World Cups. She also played at the 2008 Olympic Football Tournament. At club level she played for domestic teams Fortuna Ålesund, Asker, Team Strømmen, Stabæk and Fløya. She also played for German Frauen-Bundesliga clubs Turbine Potsdam, FFC Frankfurt and VfL Wolfsburg as well as a short stint in the North American W-League with Ottawa Fury. Ingrid Hjelmseth is a Norwegian football goalkeeper. Toril Hetland Akerhaugen is a Norwegian footballer who plays for Stabæk and the Norway women's national football team. She is a central defender. Madeleine Giske is a Norwegian football midfielder who currently plays for Toppserien team LSK Kvinner in Lillestrøm, Norway. She is also a member of the Norwegian Women's National Football Team. Marit Helene Fiane Grødum is a Norwegian football central back. Christensen married Øystein Grødum on 31 August 2013 and changed her name to Marit Helene Fiane Grødum. She currently plays for Amazon Grimstad of Norway's Toppserien league. She is member of the Norwegian national team, having made her debut for the senior team on 16 March 2003, in a match against the United States. Caroline Graham Hansen is a Norwegian footballer who plays as a winger for Bundesliga club VfL Wolfsburg and the Norway women's national football team. She spent the second part of the 2013 Damallsvenskan season in Sweden, playing for Tyresö FF. Hansen represented Norway at youth international level, and made her debut for the senior team in 2011. In 2013, she was a part of the Norwegian team that won silver at UEFA Women's Euro 2013. The UEFA Women's Euro 2013 Final was an association football match on 28 July 2013 at the Friends Arena in Solna, Sweden, to determine the winner of UEFA Women's Euro 2013. The match was won by the defending champions Germany, who earned their sixth consecutive European title – and eighth in total – with a 1–0 win over Norway. Nora Neset Gjøen is a Norwegian football goalkeeper who plays in the Toppserien league for LSK Kvinner. She also plays for Norway's senior team. Maren Nævdal Mjelde is a Norwegian international footballer who plays for Chelsea and the Norway national team. She previously played for Kopparbergs/Göteborg FC of the Swedish Damallsvenskan, Turbine Potsdam of the Frauen-Bundesliga and both Arna-Bjørnar and Avaldsnes IL of the Norweigen Toppserien. Her elder brother, Erik Mjelde, is a footballer with Sandefjord Fotball. Theresa Nielsen is a Danish footballer who plays as a defender for the Danish national team and Seattle Reign FC in the American National Women's Soccer League (NWSL), and currently on loan to Australian club Melbourne City for the 2018–19 W-League season. She previously played for Vålerenga Fotball Damer in Norway's top league, the Toppserien, as well as Brøndby IF in the Danish Elitedivisionen. She was named Danish Women's Footballer of the Year in 2012. Kristine Minde is a Norwegian footballer who plays for VfL Wolfsburg of the German Frauen-Bundesliga, having previously played for Arna-Bjørnar in her native Norway. She has represented the Norway women's national football team since 2011 and featured at the 2011 and 2015 FIFA Women's World Cups, as well as UEFA Women's Euro 2013. In November 2013 she got married and took her husband's name, becoming Kristine Minde. Leah Cathrine Williamson is an English women's football player who currently plays for Arsenal of the FA WSL and the England women's national under-23 team. ↑ Aarre, Eivind (2 February 2012). "1987: Heidi Støre". Uefa.com. UEFA . Retrieved 28 June 2014. ↑ Fauskanger, Kari (28 September 2007). "Nå er det Stendals tur til å heie". Bergens Tidende (in Norwegian). Retrieved 28 June 2014. ↑ Lote, Arve (28 July 2013). "EM-helten frå 1987: – Det var eit voldsomt styr" (in Norwegian). NRK . Retrieved 28 June 2014. This biographical article related to women's association football in Norway is a stub. You can help Wikipedia by expanding it.